San Clemente, CA (May 30, 2013) – A court settlement filed today requires the Environmental Protection Agency and the U.S. Coast Guard to ensure that toxic oil-dispersing chemicals used in federal waters off California will not harm sea turtles, whales and other endangered species or their habitats. Conservation groups sued to force the government to determine the dispersants’ safety for endangered species prior to their use — not afterward, as occurred during 2010’s Deepwater Horizon oil spill. “We shouldn’t add insult to injury after an oil spill by using dispersants that put wildlife and people at risk. During the BP oil spill, no one knew what the long-term effects of chemical dispersants would be, and we’re still learning about their harm to fish and corals,” said Deirdre McDonnell of the Center for Biological Diversity, which brought suit with Surfrider Foundation and Pacific Environment. “People can avoid the ocean after an oil spill, but marine animals can’t. They’re forced to eat, breathe and swim in the chemicals we put in the water, whether it’s oil or dispersants." Dispersants are chemicals used to break oil spills into tiny droplets. In theory, this allows the oil to be eaten by microorganisms and become diluted faster than if left untreated. However, dispersants and dispersed oil can also allow toxins to accumulate in the marine food web. People exposed to the oil and dispersants in the Gulf of Mexico disaster have also reported suffering lasting and damaging effects. Today’s settlement, filed in the U.S. District Court for the Northern District of California, requires the federal government to analyze the effects of approving the California Dispersants Plan — which authorizes the use of dispersants in the event of a spill — to determine whether these toxins would harm endangered wildlife and make sure any harm is minimized. The Endangered Species Act requires the EPA and Coast Guard to consult with the National Marine Fisheries Service and U.S. Fish and Wildlife Service regarding any activities that might affect endangered wildlife. “The Pacific Ocean encompasses some of the most unique marine ecosystems in the world, providing habitat for many endangered and threatened species,” said Kevin Harun, Arctic program director for Pacific Environment. “The government needs to take the precautionary approach in order to prevent future harm to the health of the environment and people." “These chemical dispersants are dangerous to human health in addition to wildlife, and shouldn’t be allowed to threaten a family’s enjoyment of the beach. 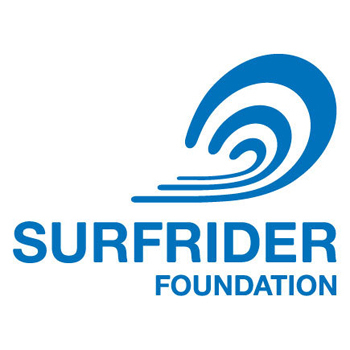 Surfrider Foundation members in Florida are so concerned about the aftereffects of the BP spill, they have taken it upon themselves to test the Gulf sand and coastal waters, and have found likely traces of Corexit attached to undissolved tar product in the coastal zone,” said Surfrider Foundation’s Legal Director Angela Howe. Studies have found that oil broken apart by the dispersant Corexit 9527 damages the insulating properties of seabird feathers more than untreated oil, making the birds more susceptible to hypothermia and death. Studies have also found that dispersed oil is toxic to fish eggs, larvae and adults, as well as to corals, and can harm sea turtles’ ability to breathe and digest food. Pacific Environment is a non-profit organization based in San Francisco that protects the living environment of the Pacific Rim by promoting grassroots activism, strengthening communities and reforming international policies. For nearly two decades, we have partnered with local communities around the Pacific Rim to protect and preserve the ecological treasures of this vital region. Visit www.pacificenvironment.org to learn more about our work.